Modern life may be fast-paced and furious, but everyone needs a healthy and delicious home-cooked meal. From her hundreds of thousands of social media followers and website visitors, low carb food blogger Carolyn Ketchum hears the same question time and again: Is this recipe easy to make? With this book, Carolyn invites readers into her kitchen, this time to deliver mouthwatering keto dinners that are quick and simple to prepare. In Easy Keto Dinners, Carolyn has put together a collection of flavorful weeknight meals that take minimal effort. Consider it a manual for making keto dinners the whole family will savor—all in less time than it would take to pick up takeout. As always, Carolyn knows that taste comes first, even for home cooks with dietary restrictions, so the focus is on making low carb, high-fat meals that rival their non-keto counterparts. 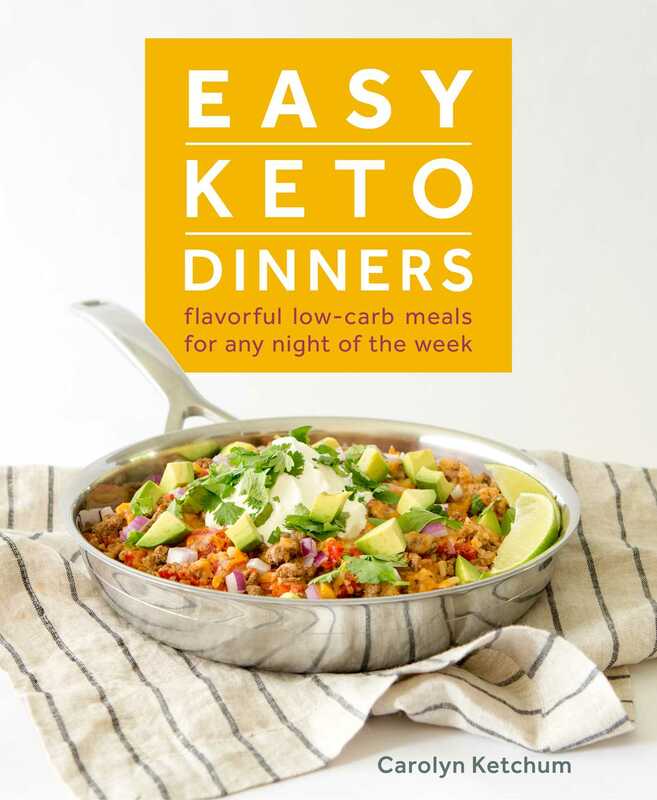 Easy Keto Dinners includes more than 50 recipes for effortless meals, complete with full-color photos, detailed prep instructions, and helpful tips to streamline the dinner process.